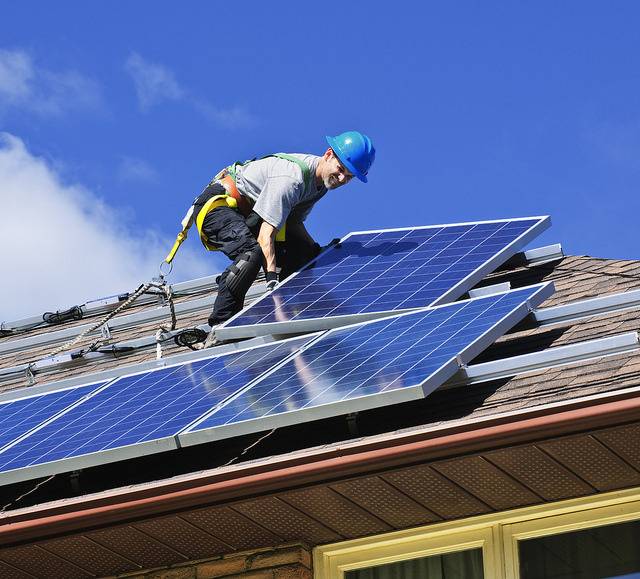 NHT Renewable is a company established by the National Housing Trust to develop and operate solar systems on top of affordable housing across the country. Since 2014, NHT Renewable has partnered with other housing owners to design, finance, and install 1.5 Megawatts of solar power across 25 affordable housing rooftops in Washington, D.C.
NHT Renewable is not an energy company. It is an entity established to provide support to affordable housing owners to fulfill their renewable energy goals. If developed properly, solar installations can provide exceptional value to affordable housing owners and their buildings. Yet, solar installations come with their challenges. For NHT Renewable, residents and housing owners come first. As an experienced developer of both affordable housing and solar systems, the National Housing Trust established NHT Renewable to share our knowledge. We believe that just as we own the solar systems on top of our own buildings, other housing owners should do the same. So we joint venture with affordable housing owners to teach them how to finance, install, and operate solar across their own portfolios. More specifically, we provide the unique financial and legal structures required and assist housing owners in building relationships with energy investors and lenders. NHT Renewable uses an approach to solar financing that uniquely aligns solar incentives for property owners, investors, and lenders. The portfolio-level solar approach entails financing solar projects at a corporate (not a property) level. Certain financing costs and tax rules make it advantageous for housing owners to establish separate solar companies to own and operate solar installations on top of their own properties. More specifically, financing solar at the corporate level enables owners to develop multiple sites at one time, receive reduced pricing on systems, eliminates costly third-party intermediaries, and allows nonprofits to earn appropriate economic rewards relative to their level of risk. The approach increases the overall benefits of solar to make projects truly worthwhile for housing owners, investors, and lenders.